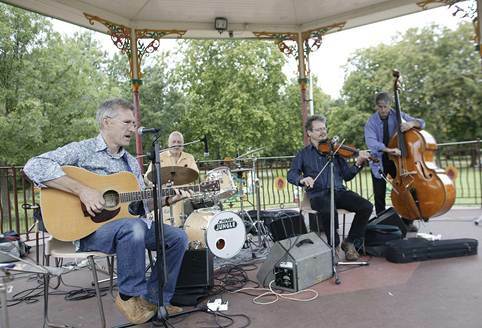 Folk band Beckett is a professional and popular five-piece live band. Together for several years, they have earned a reputation for their musicianship and versatility. Beckett folk musicians are adept and experienced in a variety of styles including Celtic, country, pop and rock and jazz (instrumentals and songs). 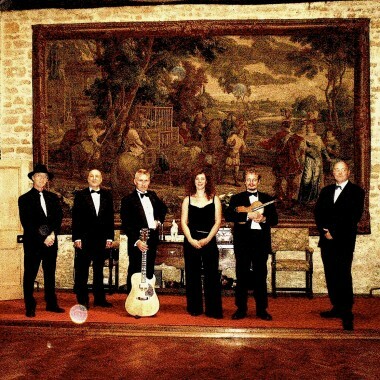 Beckett provides Folk music across a broad spectrum of events, including corporate events, festivals, weddings, birthday parties, anniversaries, charity balls, street parties, banquets, ceilidhs and barn dances. 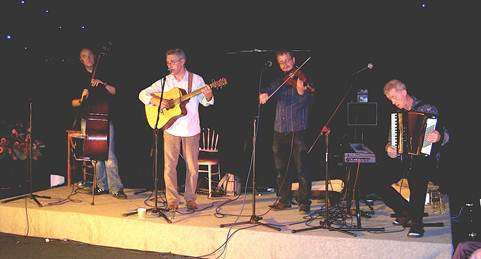 The Folk band has performed at most major venues in London and the south east and at events in Ireland and France. 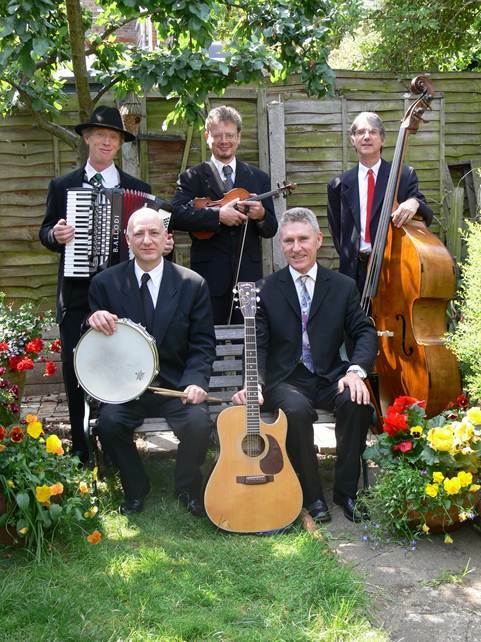 Folk Band Beckett excels at events where a specific style of music is requested but clients would like some variety of other styles of music. For example, a party request for a ceilidh or barn dance that also requires some upbeat popular dance music to follow. Or a wedding where early evening background music is needed to create a welcoming, relaxed atmosphere, to be followed by popular music for a broad range of ages. The Folk band’s repertoire is extensive and eclectic and will accommodate client requests given sufficient notice. Please see the technical specification for repertoire. Beckett line up consists of guitar/vocals (acoustic/electric), bass (double bass and electric), keyboards/vocals (accordion/piano), drums (varied percussion, congas, cajon and bodhran.) and violin/mandolin/vocals. A female vocalist/instrumentalist/ dance caller often joins the band on request. For events requiring dance instruction, a ceilidh, barn dance or American line dance the band employ a specialist dance caller. Other musicians such as flute, pipes, banjo, cello and brass are available on request. They were really fantastic all evening – there is nothing else really we can say. The dance floor was indeed packed all night, and they judged the pace of the evening perfectly. The requests we made went down well and everyone had a great laugh. Thanks for your help once again! We wish to thank Beckett for such fabulous music at our party. It was all perfect for the occasion- a party with guests ranging from 3 months to 90 years old! We were very, very happy with the way the party went and, of course, the music was central to that, getting lots of people on the dance floor and having fun. We have had nothing but positive comments from our guests. We only wish we had not married off our son and all our daughters, as we can’t see another opportunity for you to play for us for a long time. We wish the band continuing success and happy playing in the future. We just wanted to thank you for making our wedding day so special. The music was simply superb and made the event extra special. I cant remember a wedding where so many people danced for so long, so many many thanks. You were simply brilliant. Plus a wide selection of jazz, Latin and Swing instrumentals. Bright Side of the Road -Van M.
And it Stoned me – Van M.
Jackie Wilson Said. Van M.
These Dreams of You – Van M.